So, what this means for community associations is that it is time to update the coversheet or stamp on your CC&Rs to include the new language. 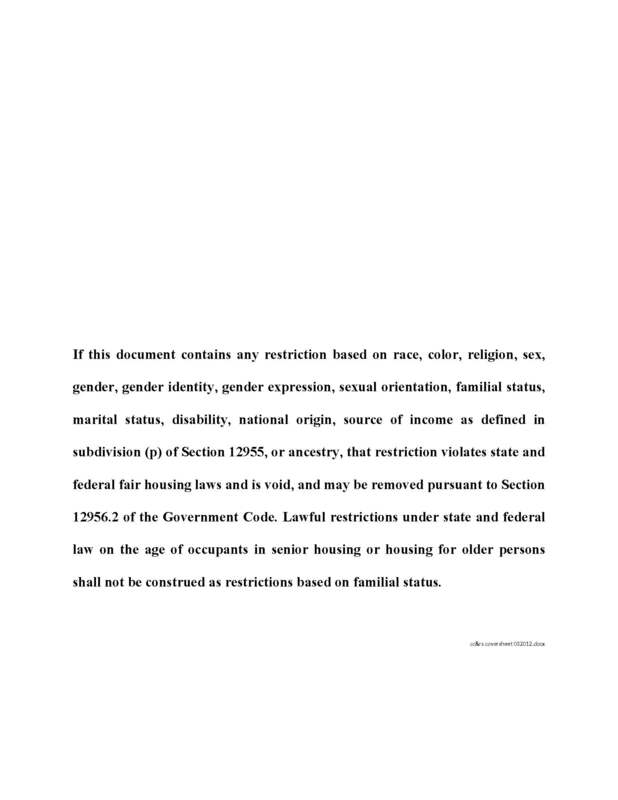 In addition, while it is unlikely a set of CC&Rs contains any language which discriminates on the basis of “gender identity” or “gender expression,” if any such language exists in an association’s CC&RS or rules, that language should be removed. 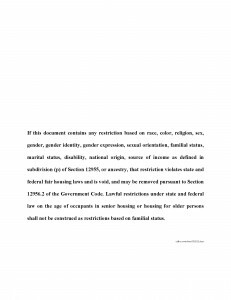 Pursuant to California Civil Code section 1352.5, boards are required to delete discriminatory restrictions, and can do so without obtaining the approval of homeowners. Click Here to download a cover sheet which complies with the requirements of AB 887.